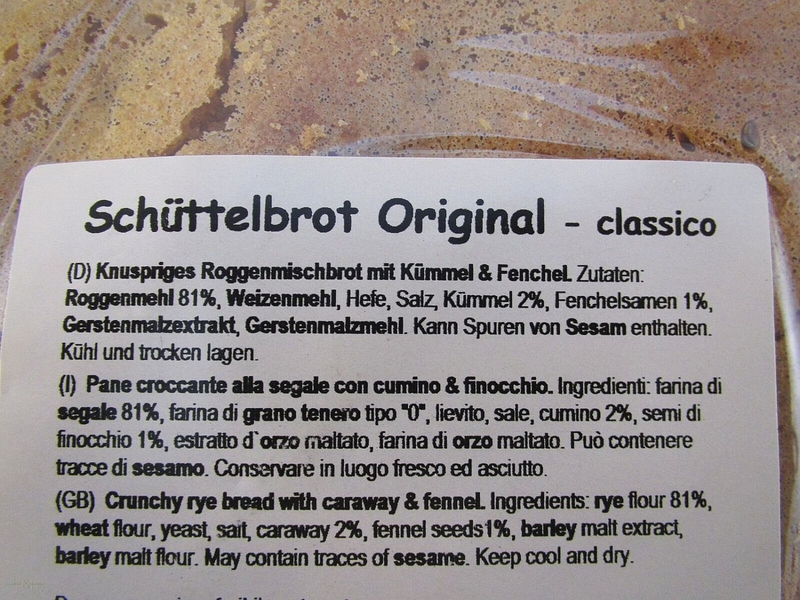 The making of Schüttelbrot is inextricably entwined with the history of South Tyrol. This rustic family recipe has been handed down generation to generation. Our ‘Bauern Schüttelbrot' is made with light rye flour and carefully improved with caraway and fennel - 100% natural crunching fun, of course. Ingredients: Rye flour 72%, wheat flour, yeast, salt, caraway 2%, fennel 1%, malt extract, malt flour. Eccellente rapporto qualità prezzo! Prodotto di altissima qualità! 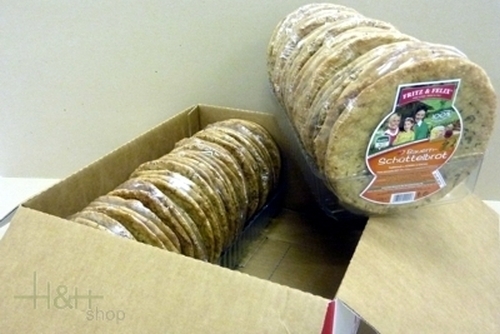 Schüttelbrot Knabbermäuschen Trenker 10 x 200 gr. Package 23,80 EUR / 11,90 €/kg. Crispy Bread with Pumpkin seed & sesame 150 gr. - Fritz & Felix 2,80 EUR / 1,87 €/100 gr. Crispy Bread with Pumpkin seed & sesame package 20 x 150 gr. - Fritz & Felix 50,45 EUR / 16,82 €/kg.